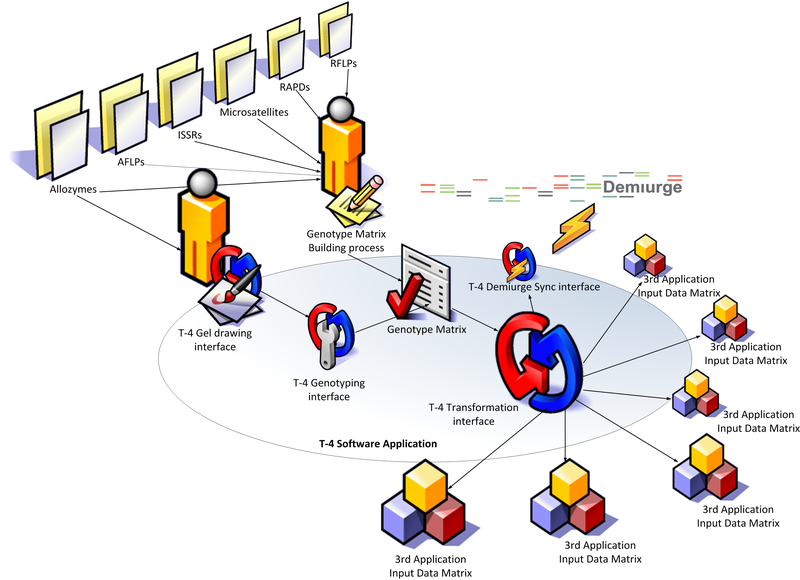 The absence of a computer program to calculate all possible parameters that may be derived from population genetic data matrices brings about the need of handling a large variety of softwares whose specific format requirements are onerous to fulfill, heterogeneous, and (in most cases) not inter-compatible. Especially for some molecular markers, this situation begets a data analysis conundrum prone to generate various sources of error. Critically, each day lost in the analysis of genetic data, and each mistake skipped over, may stand in the way of our biodiversity conservation efforts. 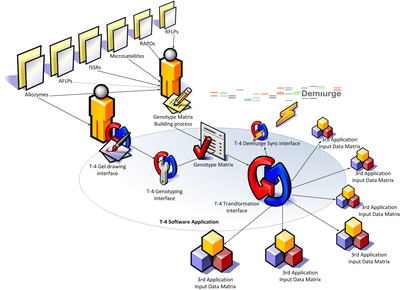 Transformer-4 (T4) is an open-source computer program that overcomes most of the afore-mentioned problems and allows for the fast processing and analysis of molecular population genetic data with most population genetic softwares available to date. T4 is suitable for codominant (allozymes, nuclear microsatellites and SNP coded with two letters per SNP), dominant (AFLP, chloroplast microsatellite, RFLP, ETC...) and DNA sequence matrices (including SNP coded with one letter per SNP) for an unlimited number of alleles per locus, loci, individuals, populations, and taxa (diploid individuals, in the case of co-dominant data). Any number of matrices following one of the accepted coding options in the .tfm4 format can be imported to T4, and most of these matrices can be transformed into the input formats of one or several of the most commonly used population genetic softwares, and for any possible combination of the populations that it may contain. 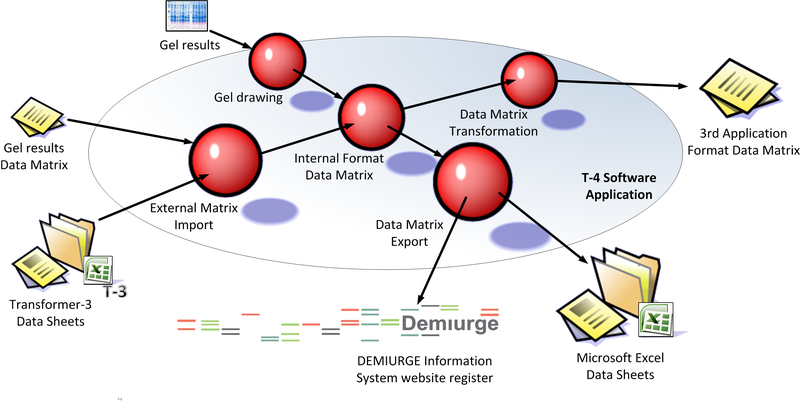 T4 may also connect upon request to the Demiurge website to initiate the process of digest submission. We believe that the use of T4 is quite intuitive and user-friendly. Its versatility (that we hope to keep enhancing further) does save a lot of research time, and avoids most errors associated with genotyping and data analysis of molecular population genetic matrices, thereby leaving the researcher plenty of time to devote to his/her main mission: the analysis and discussion of results. 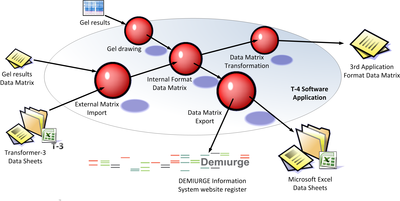 In addition, T4 aims at providing a biodiversity information standard for data matrices derived from any technique used in population genetic studies sensu TDWG.